The Galactic Patrol's Lensmen are the most feared peacekeepers in the Galaxy. The "Lens," a telepathic jewel matched to the ego of its wearer, is the ultimate weapon in the war against the merciless pirate Boskone and his forces of lawlessness. 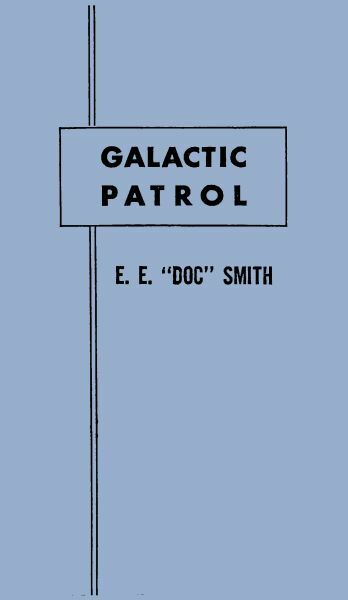 The only problem is the Galactic Patrol isn't sure how to capitalize on the Lens' incredible powers, but new graduate Kimball Kinnison is determined to learn. Taking command of the experimental fighting ship, the Brittania, Kinnison and his crew set off on a journey of harrowing adventures, coming face to face with deadly space creatures, and the evil pirate Helmuth... who may be the dreaded Boskone himself. Epub 20170203.epub If you cannot open a .mobi file on your mobile device, please use .epub with an appropriate eReader. Mobi/Kindle 20170203.mobi Not all Kindles or Kindle apps open all .mobi files.